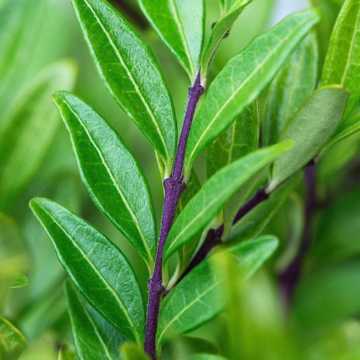 This is a dense, bushy, fast growing evergreen and a very popular choice for those who want a medium height evergreen hedge (up to about 2m). Its densely packed leaves, borne on long stems, are tiny so it forms a very dense hedge. 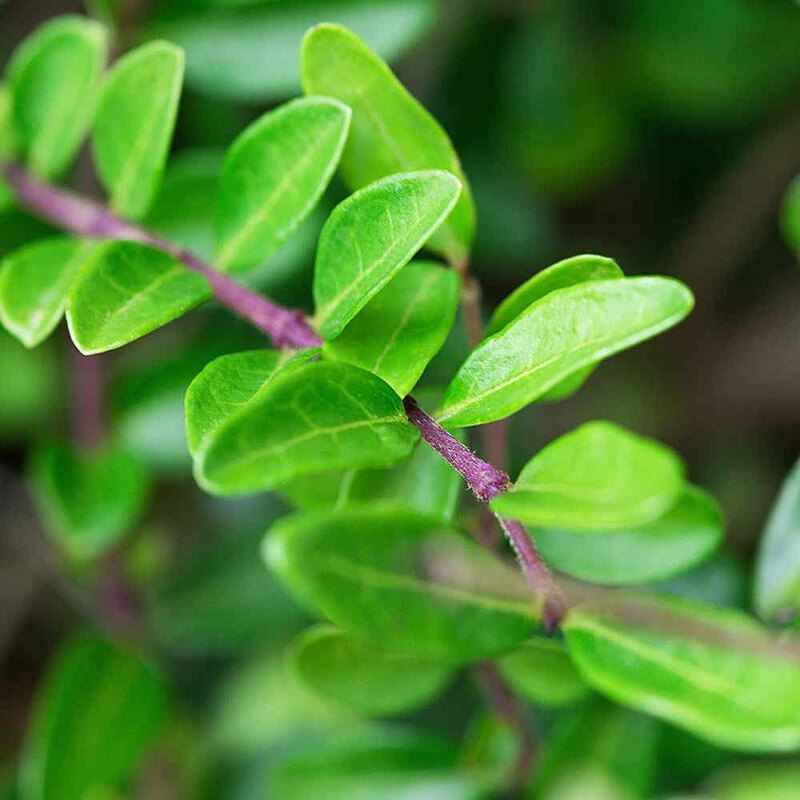 It has a high tolerance of clipping which makes it ideal as a neat, formal hedge and produces small, scented off-white flowers in Spring with purple-blue berries developing in the Autumn particularly followng a good Summer. Lonicera Nitida is a very common hedging plant despite few people knowing its name - we hope our photograph helps to make it recognisable. 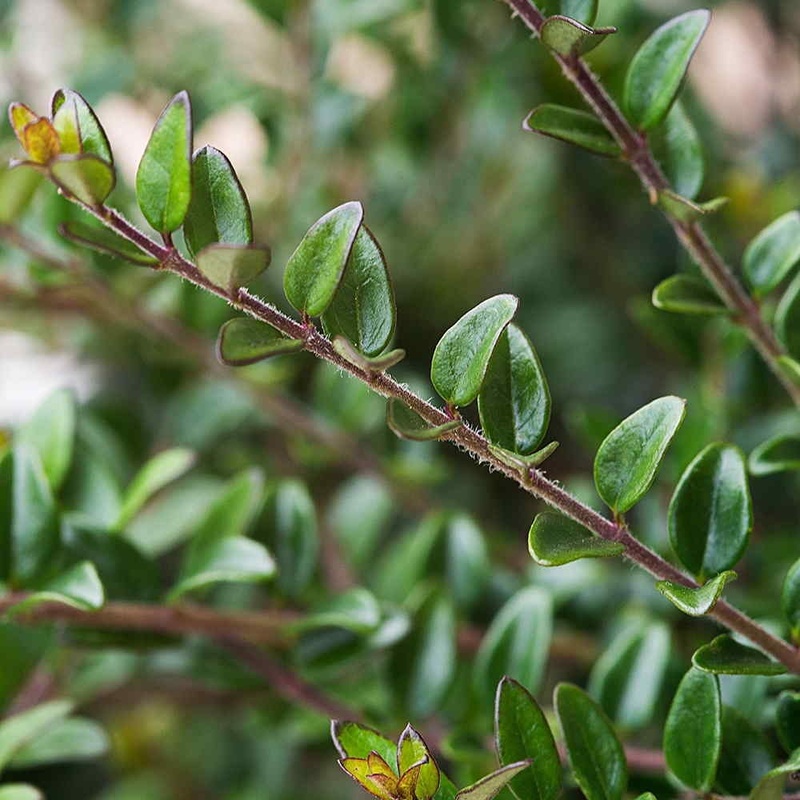 More commonly known as Wilson's Honeysuckle, you may have also heard it referred to as Poor Man's Yew as it very cost-effective choice of hedging plant. Due to its fast growth rate and tiny leaves on supple stems, it's also a very popular choice for topiary. It is easily trimmed in Summer and Autumn. 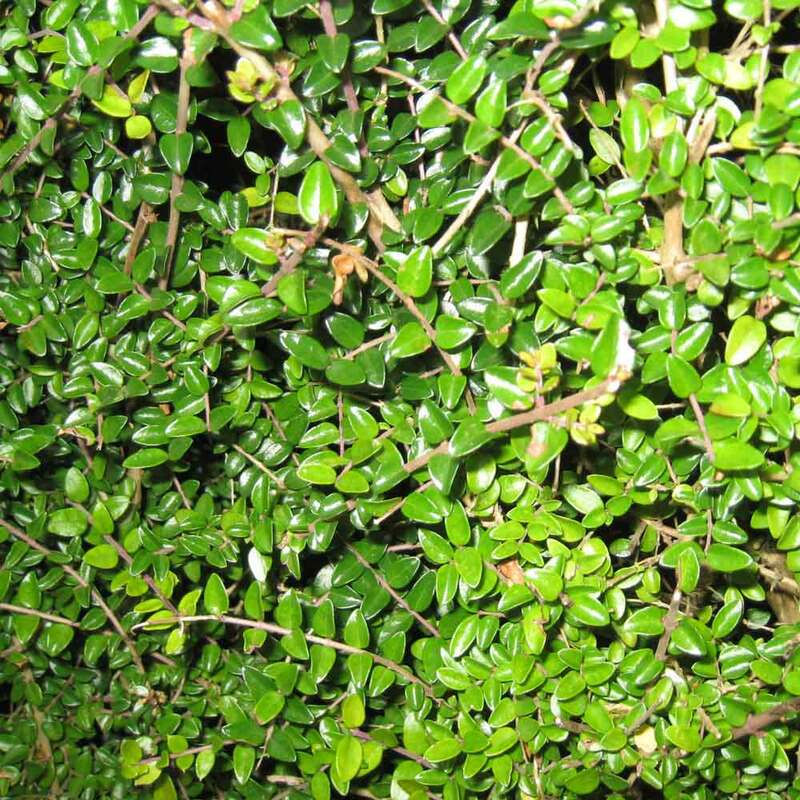 Lonicera Nitida is suitable for shady sites, and most soil types, but not wet or windy sites, or seaside gardens.  Don't let hindering planting conditions deter your gardening goals, we supply a huge range of hedging plants for shade and hedging for exposed sites. 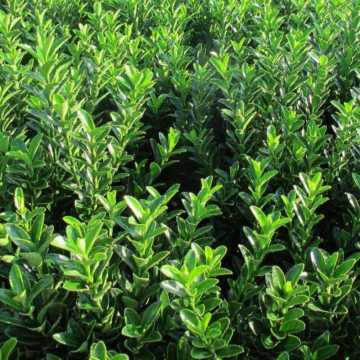 View also our entire range of evergreen hedging for additional options that provide year-round interest. Lonicera (Lonicera nitida) is a popular substitute for Box hedging plants for its ability to be trimmed into a variety of shapes and it's insusceptible to Box blight. 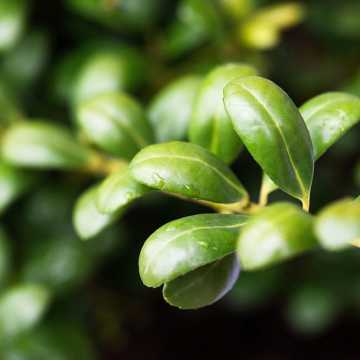 We have a section dedicated to Box Hedging Alternatives to view our suggested hedging plants. Cell grown, pot grown and instant hedging plants are available all year round. Bare roots are only available from November to late April/early May. The wonderful green foliage of this species enhances colourful aspects of other plants when planted together. See also our extensive range of hedging with colourful foliage. Recommended planting densities for pot grown plants are shown but this is very much a matter of choice and you can increase or reduce the density depending on your level of patience. Cell grown plants are normally planted at 4 per metre in a single row or 6 per metre in a double staggered row. Lonicera Nitida (Box Leafed Honeysuckle) should be pruned yearly to keep a nice, neat shape. Pruning should be done in late Winter or early Spring before you see new growth.